It is a sensation of sound generated inside your head that only you can hear. Some people experience it occasionally, while for others it is with them constantly. Tinnitus can have a major impact on people’s lives by causing stress, anger, anxiety and sleep loss. Tinnitus has many causes. 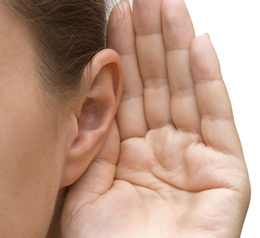 More than 80% of people have some degree of hearing loss, though many are not aware of this. Treating tinnitus with hearing aids can help reduce the symptoms of tinnitus for many people. There are many ways to take control of your tinnitus and reduce its impact on your life, although your tinnitus may not go away entirely. Hear Clear Australia can help you manage your symptoms through education, counseling and sound therapy. Oticon Opn™ hearing aids with Tinnitus SoundSupport help you take control of your tinnitus by playing a wide range of relief sounds like white noise and soothing ocean-like sounds. With Oticon Opn, you can discreetly control the sounds in your hearing aids using the Oticon ON App for iPhone and Android. Research Finds Memory Loss In Older Adults Linked To Hearing Loss, Not Alzeihemer’s. Hear Clear Australia We Triple Your Savings This Christmas! Oticon OPN – Invisible hearing aids Now Available!